Mature adults who are isolated and do not have relationships with people they can count on see their health decline, brain activity degrade, and experience premature death. We exist to change that. 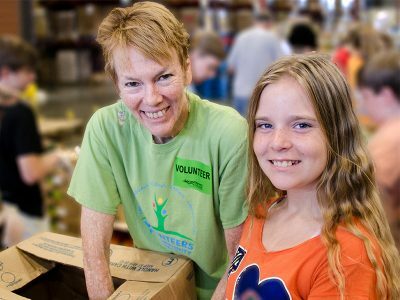 Volunteers for Community Impact is here to help the community while also benefiting our volunteers, of whom the majority are older adults. We aim to end the isolation that many seniors feel, and we do this through high-impact volunteer opportunities in Orange, Volusia, Osceola and Seminole counties. Our programs include VCI Cyber-Seniors, Foster Grandparent Program and RSVP.